Of course you read Dork Shelf because you're not an idiot fabulous. They review films, comics and games with uncommon honesty and thoughtfullness. I'm an uabashed fan of Eric Weiss, who wrote the only decent review of No Man's Sky. Despite odds, Dork Shelf continues to cover the entire Toronto Gaming scene - they're freaking heroes. This year, Eric Weiss covered Jarryd Huntley's border troubles, and Christopher Demelo uncovered the rest - including the fact that veteran jammer Michael Patoine survived cancer last year. So glad Michael was able to come back and jam this year. His team created Show OFF!, a quick, unique, story driven game where you attempt to sabotage a play. When your best plans backfire, the writing will make you smile. Jake Butineau is an award winning composer that floated at this year's TOJam. He worked with 4 teams, and apparently none of them were able to finish a game! Rather than dwell on this depressing outcome, Jake has placed the 7 music tracks he created on SoundCloud for all to hear. Some fabulous work (I love "Prospect of Failure - Main Theme") that will hopefully find a home someday. The Internet is playing TOJam games! GameDev Cafe played "Crime and Punishment", "Escargolf", "The Peak", "Tanks for the Memories", "Recipe GIF" and Jelly Jelly". She returned to fully climb The Peak, experienced an existential ending, leading to a long forgotten poem. Whit played "Dying Light", "Snackoil Salesman", "Disappointing Your Dad", and "The Best Worst Gift". The hosts and the games highly entertaining. Also, 4-time TOJammer Andy Wong casually covered TOJam producing the best synopsis of our event that I've ever seen. Finally got around to updating the TOJam 11 game page, highlighting games that I've heard about. Should I have heard about more? Let me know. 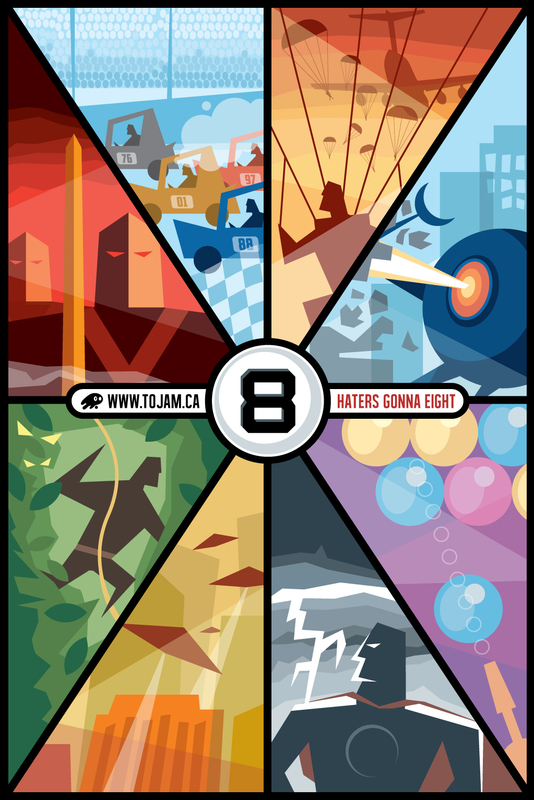 TOJam: What Twelves Below FINISHED! Thanks so much for attending! If we weren't able to confirm you, our apologies and remember you'll be first in line next year. After 12 years, TOJam is now a well oiled machine. This year's adventures included a stolen pair of shoes (quickly found), a beautiful floor three (thanks GB ESL! ), and a sleeping jammer blocking a doorway. If that doesn't say success, what does? Brendan Lynch took these fabulous portraits! He's been doing this for 11 years, and man do we look good. In real life, Brendan has built FindNext which you should install on your iPhone/iPad right now. Failed searches lead to conversations with people to find what you want "Crowd Search". It's WILD. Paul Hillier is a professional photographer who once again captured TOJam! Paul's photos are always amazing, especially considering the adversarial lighting conditions. When not making time for us (no idea how he does it), Paul can be found taking pictures of truly epic cosplays, cityscapes that will take your breath away, and the occasional Justin. If you ask nicely, he might photograph your wedding which makes me extremely jealous. Also, as you can tell by Paul's photo, we have the BEST volunteers! Once again, this year we're using itch.io as our game submission portal! Please read our step-by-step instructions below, or email Alex (alex@tojam.ca) if you have questions or issues. Select your game and fill in the TOJam-specific details like team name, members, floaters, etc. Submissions close Sunday May 14th, 2017 so upload your game ASAP! A big thank you to @moonscript for this system. TOJam: What Twelves Below's theme is here, and it's... a bit of a let down?? That was intense. 540+ people have registered, and we have ~400 spots (working on more). We will confirm registrations by Friday April 21st, 11:59pm. 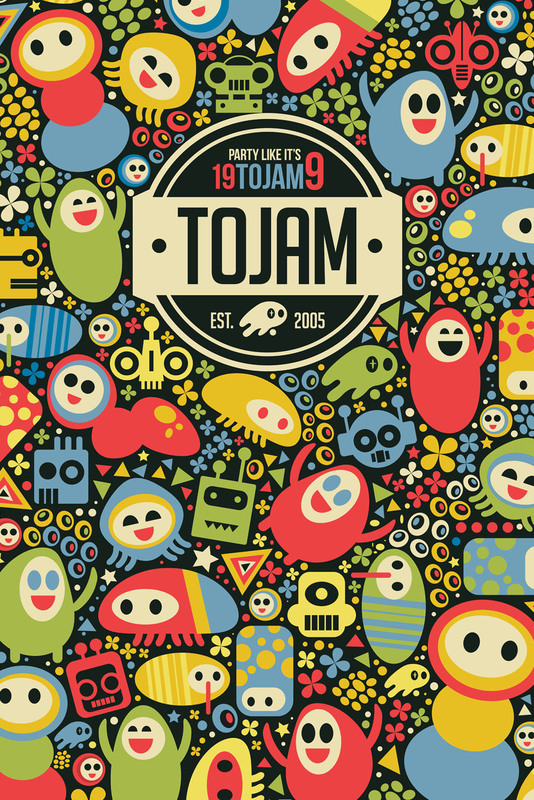 If you get confirmed, and can't attend, please e-mail alex@tojam.ca so we can give the spot to someone else. You can view existing registrations here to check if your teammates have joined you. 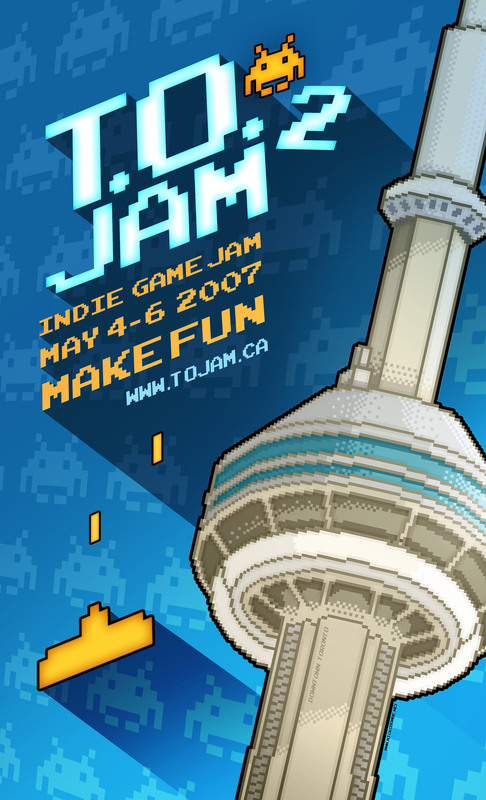 E-mail jim@tojam.ca or @torontogamejam if you have any questions. While you were sleeping we sneakily took registrations live! Registrations close THIS Friday April 7, 11:59pm. We will confirm registrations by Friday April 21st, 11:59pm. You can view existing registrations here to check if your teammates have joined you. 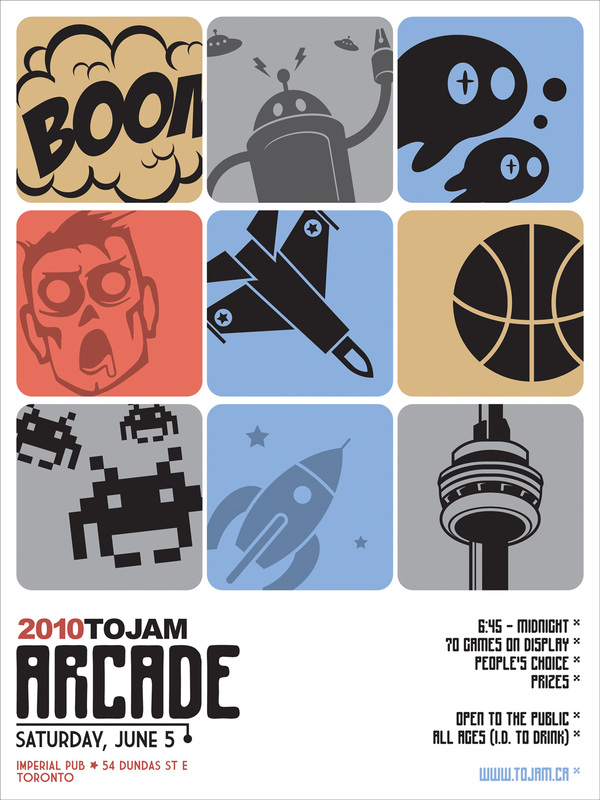 E-mail jim@tojam.ca or @torontogamejam if you have any questions. Toronto based SideFX is offering a 3-month indie license of their procedural gamedev tool Houdini to everyone that attends TOJam. Houdini allows you to create 3D content QUICKLY, making it a perfect fit for the jam. You use the Houdini editor to procedurally generate 3D models, then use the Unreal/Unity plug-in to import them (changes in Houdini automatically update Unreal/Unity). This video explains it best. Learning how to use Houdini now will make you a content generating force. Click here to apply (we'll confirm eventual registrations with Houdini). Apologies for the slight delay. Jimmy McG needs just a few more days to get the registration form ready for your discerning eyes. You might ask yourself, how hard could that be? You've been doing this for 12 years. The answer is... not hard at all. 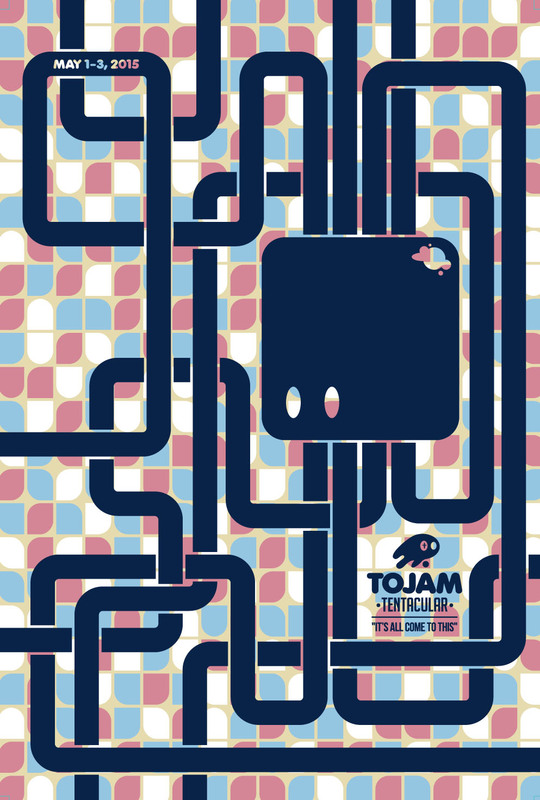 TOJam: What Twelves Below ... has dates! 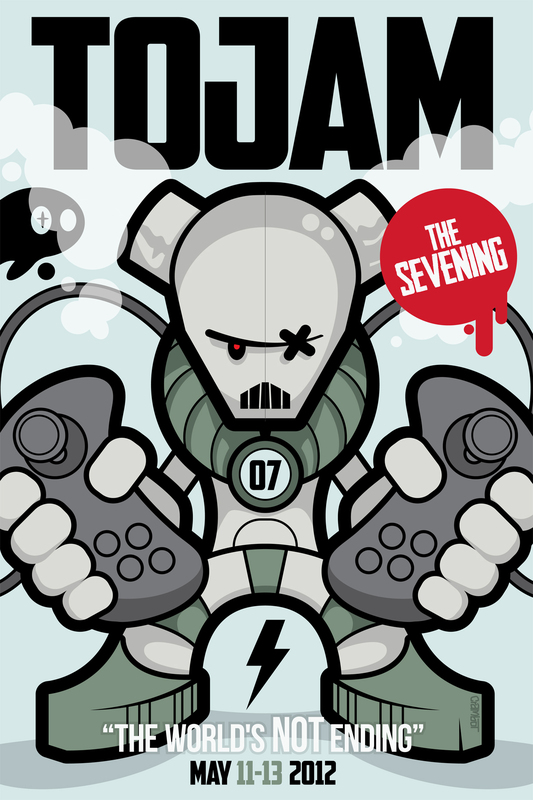 TOJam 12 will be held from May 5 - 7, 2017, returning to the always awesome George Brown College! For once Mother's Day is spared! Wondering about Registration? (Yeah you are.) Take a deep breath: it isn't open yet, but it will be going live on March 22. Mark your calendars! Don't forget to follow our Twitter feed for info and cool stuff!